This 24 Hour, fully compliant, Arizona DHS BEMS approved course follows the U.S. Department of Transportation (DOT) National Standard Curriculum for Emergency Medical Technician Basic Refresher. Students are trained according to the standards outlined above. Students who successfully pass the course, will be issued certification identifying the number of hours obtained for training for the use of re-registration as an EMT for the state of Arizona and under the National Registry of Emergency Medical Technicians. This 24 hour course includes topics identified by the NREMT, necessary to recertify under Section II of the NREMT recertification brochure. This course is approved by the Commission on Accreditation for Prehospital Continuing Education (CAPCE). The class also follows the U.S. Department of Transportation (DOT) National Standard Curriculum for Emergency Medical Technician Refresher. Students who successfully pass the course, will be presented with a certificate outlining the applicable topic areas. This class also serves as a transition course for the NREMT-B to the NREMT level. This course cannot be used to verify skills competency. 24.0 Hours of Continuing Education (24.0 CEU) provided upon successful completion. 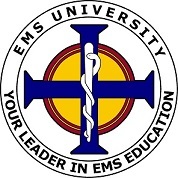 EMS University is accredited by CAPCE to offer CEU Hours. You can also view many of our other courses, including, EMT and Paramedic Refresher classes and our EMS Instructor course among others by clicking the link above.